List of the most common bathrooms types - as well as relevant design tips to consider for your renovation, depending on the bathroom you are creating and who it will cater for. 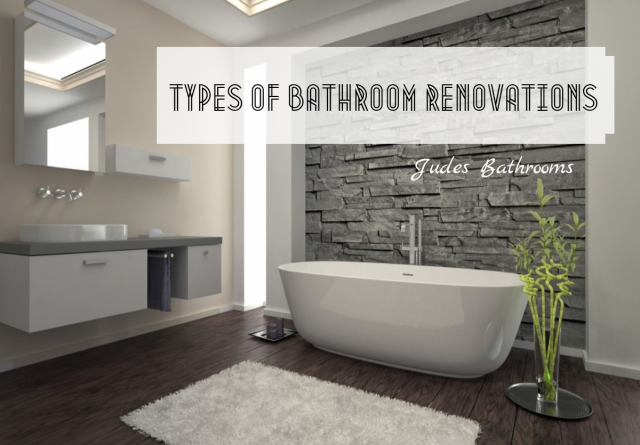 If you are planning a bathroom renovation, it is important to begin with a general knowledge of the different kinds of bathrooms typically found in Australian homes. 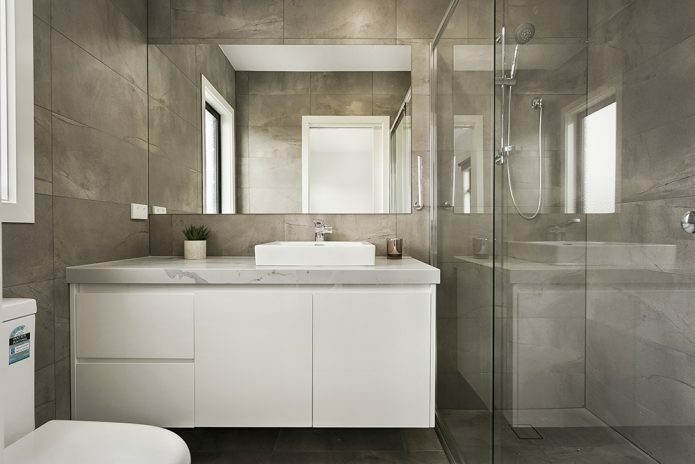 Below is a list of the most common bathrooms types – as well as relevant design tips to consider for your renovation, depending on the bathroom you are creating and who it will cater for. These bathrooms are spacious, grand and often recreate the elegance and luxuriousness of a day spa. Master bathrooms are commonly used by two or more people, so the His & Hers style with double vanities, mirrors and shower heads is very popular. A bathtub, separate shower, ample storage and semi-private toilet are also found in the master bathroom; plus additional extras such as TVs and fireplaces, where the budget allows. A master bath should be designed to spoil the user; creating a peaceful space tucked away from the busy world for relaxation and solitude, filled with luxurious touches. Think marble, custom tiles and luxury fixtures. Traditionally, a small bathroom will consist of either a shower or bathtub, along with a sink, vanity, mirror and toilet. It is important to note that lack of space should never deter the design process, with endless bathroom design ideas available to combat a cramped room. Floating fixtures such as vanities and toilets from the walls maximises this often unused space and helps make the room seem visually larger, as well as making cleaning a breeze by allowing access to the floor underneath. Alcoves or recessed niches also make use of wall space by creating integrated storage; a genius solution that will open up more space in a smaller room and encourage you to declutter the bathroom, since your accessories will now be on display! Though often small in size, ensuites should still be functional, easy to use and appear as spacious as possible. 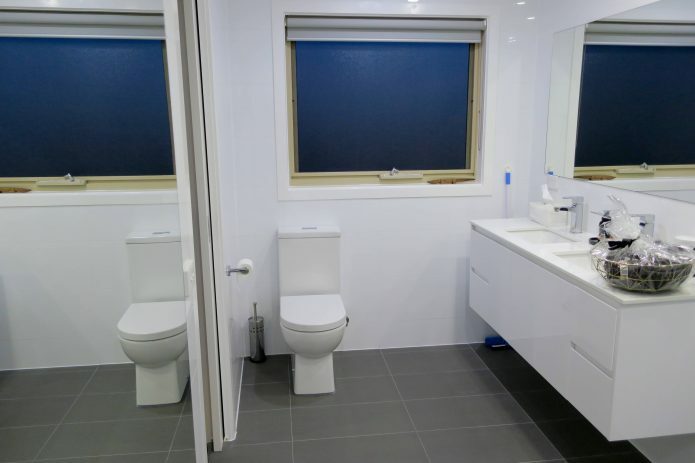 This is where hiring a professional can be extremely beneficial, as an expert who is skilled and experienced in small bathroom renovations will be able to use the space to its maximum potential. 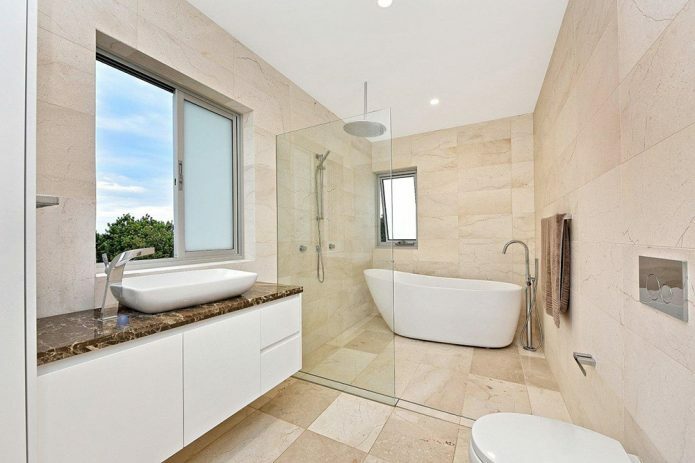 When renovating an ensuite bathroom, utilising space and storage is key. Sliding doors can allow for additional space in the room, and adding storage to often underutilised areas – such as above the toilet cistern – can maximise the use of available space. Mirrors are also a fantastic way of making a room appear larger. When used correctly, multiple mirrors will help to create visual interest by reflecting light and creating contrast. 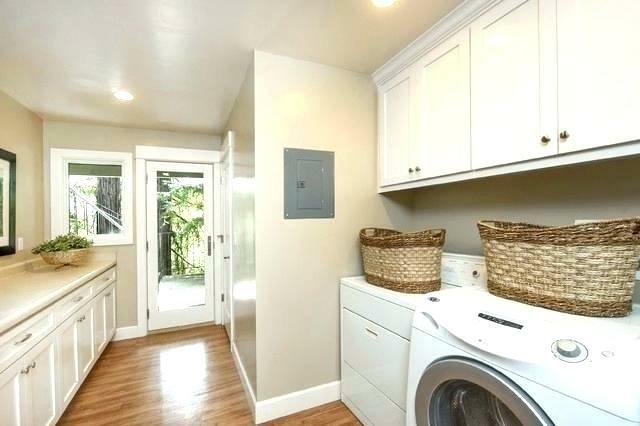 When space is tight, it is not uncommon to combine laundry and bathroom areas – particularly in small apartments. The most important element to focus on when planning these dual-purpose spaces is not losing the bathroom’s sense of calm, which can be achieved by concealing the laundry appliances. All-in-one combos or stackable washers/dryers are great space savers, and allow them to be packed away into built-in cupboards. Concertina or bi-fold doors are also fantastic for hiding away laundry items, as are partition walls, creating clear separation between the laundry and bathroom zones. The laundry should not dictate the look and feel of the room, so take advantage of design elements such as tiling and flooring to deflect attention away from the working area, back to the serenity of the bathroom zone. A three-quarter bathroom will commonly contain a combination of shower, sink, toilet and storage; generally located near the guest bedrooms to accommodate visitors and provide all the essentials, without needing to share the family or master bath. Three-quarter baths also tend to work well as a second bathroom in a larger home. Whilst surfaces and fixtures tend to be basic in these bathrooms; with expert advice, even a simple bathroom can be transformed into a tranquil retreat. 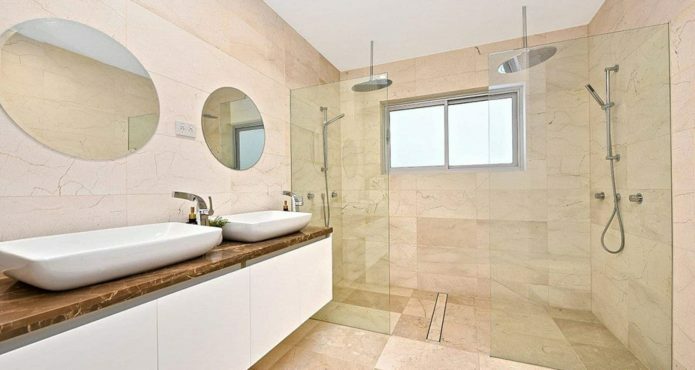 From luxury shower heads and increased storage through to carefully selected tiles and skylights to maximise natural light, there is a wide array of bathroom design options to help create your ideal bathroom – regardless of the size of the space. One of the most important elements in a guest bathroom is ample storage and space. When friends and family visit, it is likely they will bring a number of toiletries and supplies of their own – so a well-planned guest bathroom should allow plenty of space for visitors to spread their belongings out. Open shelving is optimal in guest bathrooms, allowing for an open display of bath or shower accessories, as well as linens and other necessities, encouraging guests to take what they need without having to dig through your cupboards. An overall neutral look is recommended, to appeal to a variety of tastes and ensure that the room is bright and welcoming. Although often the smallest of all the bathrooms, having a powder room can be extremely beneficial. 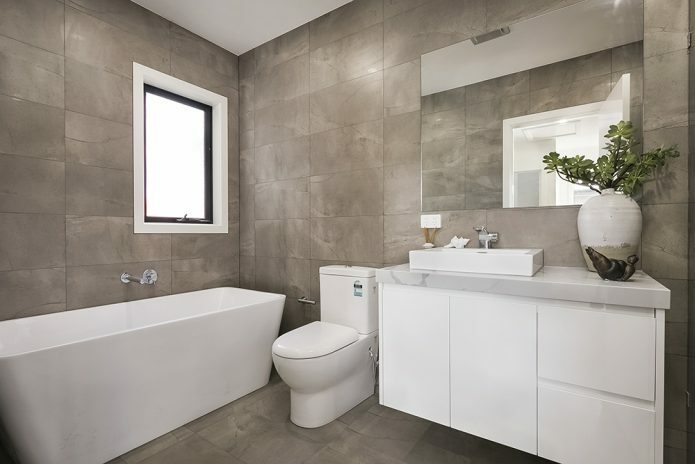 These bathrooms traditionally feature a toilet, sink, vanity and mirror; which makes them a fantastic inclusion in homes that like to entertain, as they provide an additional bathroom space for guests, or just large families requiring the extra facilities. Since space is limited in a powder room, the layout needs to be functional – so that it does not look or feel cramped. Given it is not the primary bathroom in the house, and there is a smaller area to work with, many feel the powder room is a place to take design risks and also use it for storing items not being used in the main bathroom, dependent on space. Many real estate agents agree that including a powder room in your home is an extremely profitable addition. 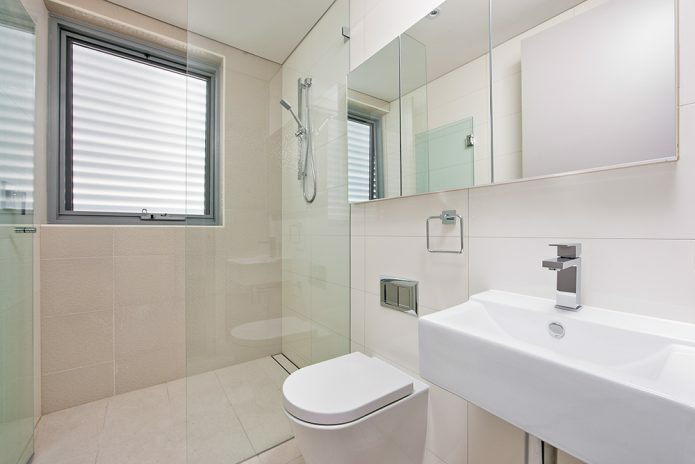 The most important aspect of a commercial bathroom to keep in mind is their high frequency of usage and the different demands placed on these types of bathrooms. 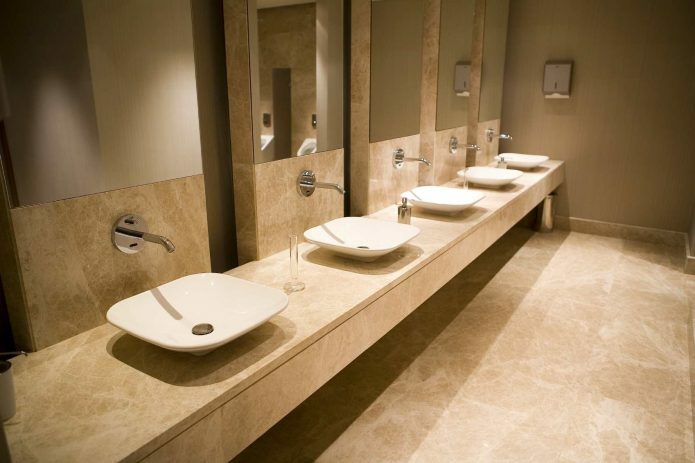 Whether they are servicing a restaurant, hotel, shop, office or factory, it is important that commercial bathrooms are functional, easy to clean and low maintenance. Any renovation carried out on a commercial bathroom needs to be thoroughly planned, ensuring that all building requirements and specifications are met, always keeping in mind that this will be a high traffic area and needs to withstand the pressure of constant usage. 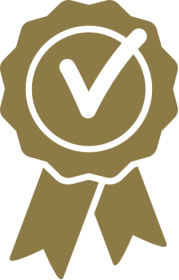 High quality, hard-wearing fixtures and fittings are highly recommended, to cope with constant use and reduce the need for frequent repairs and maintenance. Bathrooms are an area of the house that can pose a great risk to the elderly and fragile. Luckily, there are features and accessories available to make the room safer, without having anything look out of place. Installing a large, walk-in shower with a seat and adjustable shower head can dramatically reduce the risk of slipping whilst showering, as can non-slip tiles. Grab bars placed around the walls by the shower, bath, toilet and vanity can aid with sitting, standing and moving around the room, and are available in a variety of colours and styles to suit different bathroom designs. When choosing tapware, consider installing a tap mixer transformer, which will convert old taps into a single-lever mixer and take the strain off arthritic wrists when turning taps on and off. 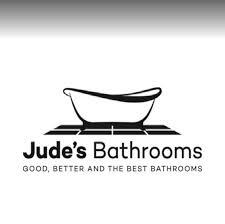 If you are looking for a bathroom renovation contractor in Melbourne, give Jude’s Bathrooms a call. We have an expert team who are highly experienced in designing and creating all types of high quality, affordable bathrooms. Whether it’s a small powder room or a grand master bathroom – the team at Jude’s will bring your dream bathroom to life. Call to speak with one of our experts and start planning your bathroom renovation today!